One of four different sets of cards I’ve designed just for you—to buy as gifts or keep for yourself. Tuck them into your purse or Bible bag or park them in the cup holder or center console of your car, and pull them out when you’re waiting in a school pick-up line or idling in a drive-through. However—and wherever—you use them, enjoy! Even when you’re out and about, there’s plenty of down time to fill… in line at the drive through, waiting for the kids to come out of practices or sitting in the waiting room of a doctor’s office. Wherever you are, pull out this set of cards and keep your prayers going, even when you are not. 18 double-sided cards on a ring. 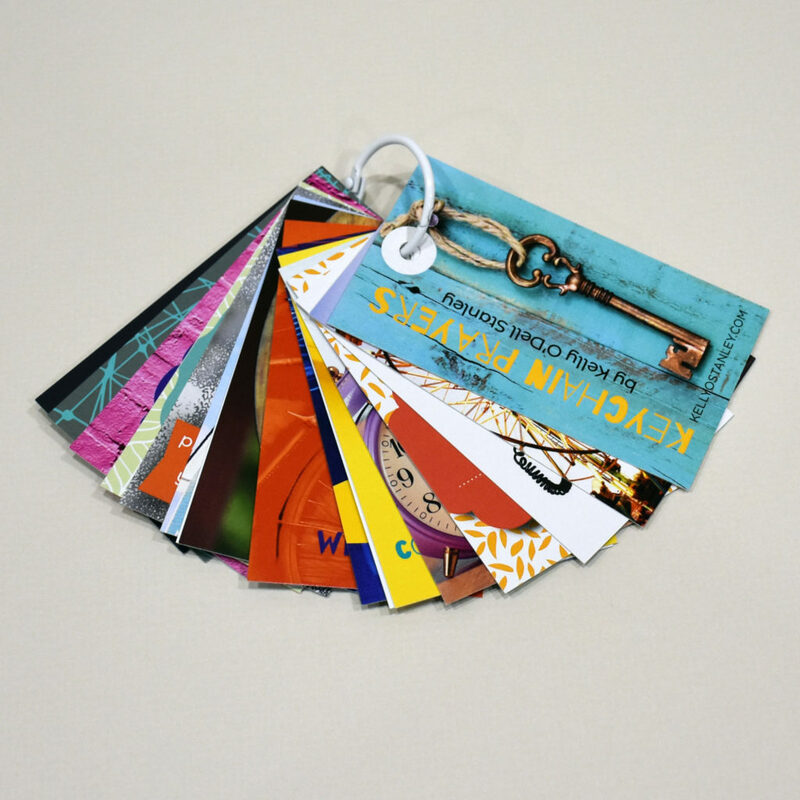 Cards are 2 x 3.5″ and printed on both sides in full color. 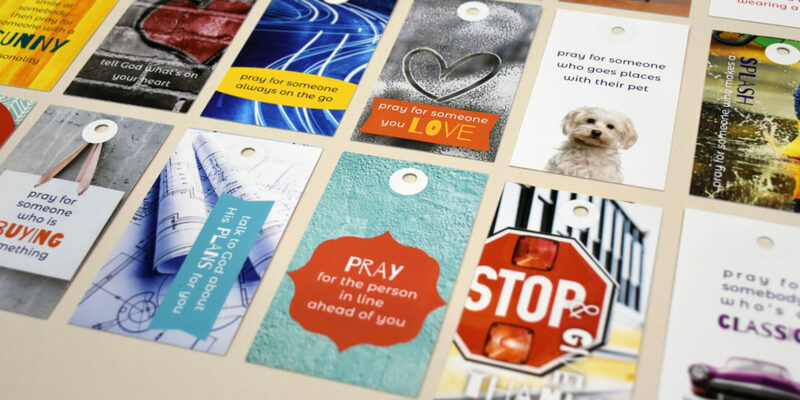 BUY ANY FOUR CARD SETS (OR MORE) AND SAVE 25% ON EACH BY USING THE COUPON CODE PRAYERSTOGO. Discount will be reflected in your cart.